I&apos;ve had my kids&apos; Halloween costumes picked out for months, so I&apos;m really excited they will finally get to wear them to some fun Halloween events coming up later this month. There&apos;s just one problem -- there are so many fun events planned in Hendricks County, I don&apos;t know how I&apos;m ever going to choose which ones to attend. After doing some research, I&apos;ve put together a list of what I think are some of the most promising Halloween events scheduled during the remainder of October. I hope this list will help you (and me) choose some Halloween activities to enjoy. Remember, you can always check our Events Calendar anytime for a list of the latest events scheduled in Hendricks County. 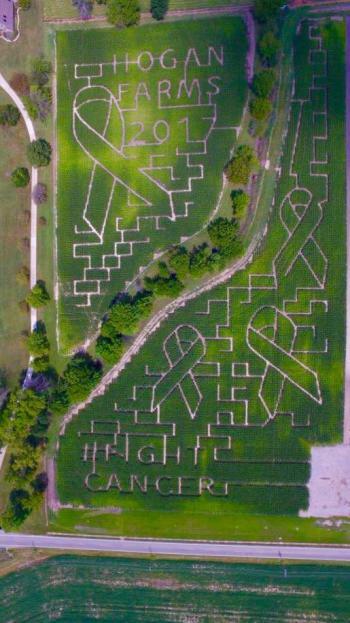 There are two farms in Hendricks County that offer corn mazes and other fun fall activities. My family recently got to enjoy Beasley&apos;s Orchard in Danville. Beasley&apos;s Orchard offers u-pick apples and pumpkins, hayrides, barnyard games and a Minions-themed corn maze. The orchard also hosts the annual Dog Daze at the Maze event, when guests can bring their dogs to enjoy the maze Oct. 28-29. Hogan Farms in Brownsburg also offers u-pick pumpkins, hayrides, a corn maze, petting zoo and more. McCloud Nature Park in North Salem offers a prairie maze through Oct. 31. For more detailed information specifically about the three mazes listed above, click here. My fellow blogger, Eric Ivie, recently wrote a great blog about the Fall Colors Festival at McCloud Nature Park Oct. 21. Check it out to learn more about the annual festival in North Salem. Nehemiah Ranch in Avon will host its last of three Fall Harvest Days on Oct. 21, as well. This event includes free hayrides, hot dogs, s&apos;mores, a bonfire, entertainment and pumpkins. Of course, all of the towns in Hendricks County will have trick-or-treating hours, but if you&apos;re looking to trick-or-treat somewhere new, or on a night other than Halloween, there are several great trick-or-treat or "trunk-or-treat" opportunities planned in Hendricks County. The Plainfield-Guilford Township Library will hold its annual Trick-or-Treat at the Library event on Oct. 26 from 5:30-7:30 p.m. Several organizations from the Plainfield community will be set up to pass out candy. The Plainfield Red Pride Marching band will also hold it&apos;s Trick or Treat Community Performance the same evening from 7:30-8:30 p.m at the Plainfield High School Stadium. Danville Parks and Recreation will offer trick-or-treating from 5-6:45 p.m. Oct. 21 at the Danville Athletic Club, 49 N. Wayne St. During this time in the same building, Haunted Hargrave Hall will be available for a non-scary, lights-on version of its haunted house. Admission to the haunted house is $3. Several churches, including Kingsway Christian Church (Oct. 28, 5-7 p.m.), Our Shepherd Lutheran (Oct. 27, 6-8 p.m.), Plainfield United Methodist (Oct. 28, 4:30-6 p.m.), St. Malachy Catholic Church (Oct. 28, 6:30-8:30 p.m.) are offering trunk-or-treat events. The Plainfield Chick-fil-A (Oct. 24, 5:30-7:30 p.m.) and Danville Community High School (Oct. 30, 6-8 p.m.) are also offering safe trick-or-treating opportunities. Finally, the Washington Township Parks Department in Avon will hold its annual Ghost & Goblins Halloween Party, which will include trick-or-treating, Oct. 28 4-7 p.m.
Are you looking to be a little spooked this Halloween? 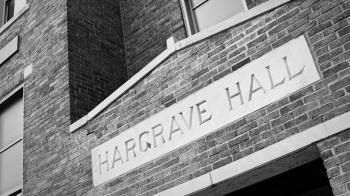 Check out Haunted Hargrave Hall in Danville. Presented by Danville Parks & Recreation, this haunted house costs $5 to enter and is open from 7-11 p.m., Oct. 21 and 28. Tickets for Oct. 21 must be purchased by Oct. 20, and tickets for Oct. 28 must be purchased by Oct. 27. Craft beer lovers can enjoy beer and Halloween fun at two events coming up this month. Brownsburg&apos;s Books & Brews will host Drink or Treat from 7 p.m. to midnight, Oct. 27. Stop by for drinks and treats, a special beer tapping, spooky games and more. The Shops at Perry Crossing in Plainfield will host Hoppy Halloween Oct. 28 from 1-5 p.m. This inaugural event will feature 20 Indiana craft breweries, more than 100 unique beers, local food, local art, a DJ, costume contests and more. Head to the Hendricks County Courthouse Square in Danville through the end of the month to see an impressive display of scarecrows. Read more about the annual Scarecrow Display here. Hendricks Regional Health presents its annual Hallowellness event Oct. 28 from 9 a.m.-12:30 p.m. at the Hendricks County 4-H Fairgrounds & Conference Complex in Danville. This event features hayrides, inflatables, spooky games, pumpkin giveaways and more. If you&apos;re a morning person, head over to The Shops at Perry Crossing for the Smiley Morning Show Pumpkin Drop on Oct. 19. The broadcast will begin at 6 a.m., and the first pumpkin will drop at 8 a.m. Stick around for trick-or-treating, a photo booth, balloon artists, bounce houses and a free small pumpkin. Finally, movie buffs can enjoy a free showing of Hotel Transylvania at Danville&apos;s Royal Theater at 7 p.m. on Oct. 19. See what I mean? So much to choose from here in Hendricks County. Enjoy this Halloween season with your little ghosts and ghouls.